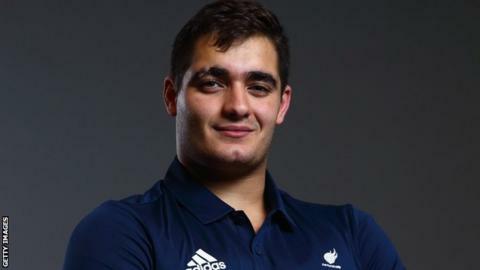 Great Britain won three gold medals at the IWAS Wheelchair Fencing World Cup in the Netherlands with teenager Dimitri Coutya winning two titles. The 19-year-old Paralympian, who competes in the B category, beat France's Maxime Valet to win gold in the men's foil in Stadskanaal. Coutya then beat Brazil's Jovane Guissone in the men's epee final. Rio silver medallist Piers Gilliver beat Poland's Norbert Calka for gold in the A category men's epee. Britain finished third in the medals table with Hungary first and Italy second. Wheelchair fencers are split into two categories, with the more severely impaired competing in the B category.